Many businesses nowadays find the need to add remote control to their arsenals. It allows their employees to access and control files from anywhere regardless of what the situation is. However, this technology can still pose security concerns if not implemented effectively. In this guide, we'll show you how to address remote control security issues effectively. Remote control is a technology that allows a user to control and access a computing device remotely. This technology is used when you need to access files and use apps on a computer from a physically separate location. One of the main goals of remote control is to get certain computing tasks done without the need for the user's physical intervention. Modern businesses use this technology to maximize their efficiency. They also utilize remote control to allow their employees to stay productive even outside of office hours. Usually, this tool lets your workers address business emergencies in an instant. They don't necessarily have to be at their office when certain business demands pop up. With remote control, they can instantly address those demands from their own home desktops with such ease and comfort. The devices your employees use to control their office desktops aren't necessarily secure and protected. They may not be at par with your company's security standards. 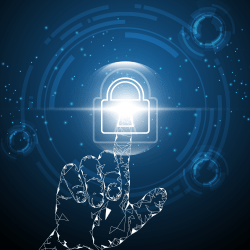 This can ultimately affect your business security and protection. These devices can potentially send different malware to your corporate network. Some businesses compromise their security by investing in a less secure remote control software. This can put your company's security at stake as it doesn't have the ability to protect confidential data from being leaked and exposed. Organizations that don't implement strict guidelines when using remote control are imposing security risks for their network's protection. Confidential files and data aren't heavily guarded from being remotely accessed and controlled. The first remote control security tip on the list is ensuring the security of your employees' endpoint devices. Make sure that they follow your company's security standards to assure that they are protected from security threats such as worms, malware, and viruses. Also, require them to have their devices checked regularly so they are completely free of security issues and flaws. Implementing a strict guideline will help you minimize the risk of a security breach when using remote control technology. Make sure to specify who should only be allowed to access confidential files and information. This will prevent them from being leaked and exposed. Also, those employees who can't be at their office desk physically are the ones who should be allowed to use remote control. All access, if not needed, should be disabled temporarily. Investing in a secure remote control software acts as your first line of defense against security risks and threats. When finding one, make sure that it has secure remote access features that can mitigate the risk of a potential security breach. Also, check if the software has some security issues in the past. This will give you a better look at how secure it is for your business. Step 1: Go to the ITarian Remote Access website. Step 2: Select Get Now For Free. Step 3: Enter your email address and click Get Now For Free. Step 4: Click Save File. Step 5: Start the installation process by running the setup file on your default download location. Step 6: Read and accept the license agreement. Fight now these remote control security issues using the tips indicated above. This can give you a much more secure environment away from security threats and attacks. If you're interested in getting ITarian Remote Access, email us at support@itarian.com.